William Hannum Grubb Bullard (6 December 1866 -24 November 1927) was a Rear Admiral of the United States Navy, whose service included duty during the Spanish-American War and World War I. After World War I, he established the Navy's patrol on China's Yangtze River. A noted electrical engineer, he wrote a popular handbook on naval electrical systems, and contributed to the use of radio in the Navy. He was born in Media, Pennsylvania, a community about 12 miles west of Philadelphia, on December 6, 1866. His father was Orson Flagg Bullard, a member of the Pennsylvania legislature. William graduated from Media High School in 1882, as a member of the school's first graduating class. He then attended the United States Naval Academy, graduating in 1886. He returned to the Naval Academy in the mid-1890s, where he participated on the officers' summer baseball team. He served in Columbia (C-12) during the Spanish-American War and commanded the battleship Arkansas (BB-33), serving with the British Grand Fleet, during World War I. On August 5, 1921, the Yangtze Patrol force was organized under Rear Admiral Bullard as part of the Asiatic Fleet. During the unsettled conditions in China during the 1920s and 1930s, the Navy patrolled the Yangtze to protect United States interests, lives, and property. Bullard gained a reputation as an authority on electrical systems and radio communications. In 1904, while still a junior officer, In 1904, the then-lieutenant published through the United States Naval Institute a work titled Naval Electricians' Text and Handbook. Later retitled the Naval Electricians' Text Book, the work went through multiple editions, being re-released in 1908, 1911, 1915, and 1917. On 13 December, 1912, Captain Bullard was appointed Superintendent of the Naval Radio Service, within the Bureau of Navigation. During his tenure, he developed a Handbook of Regulations (1913). 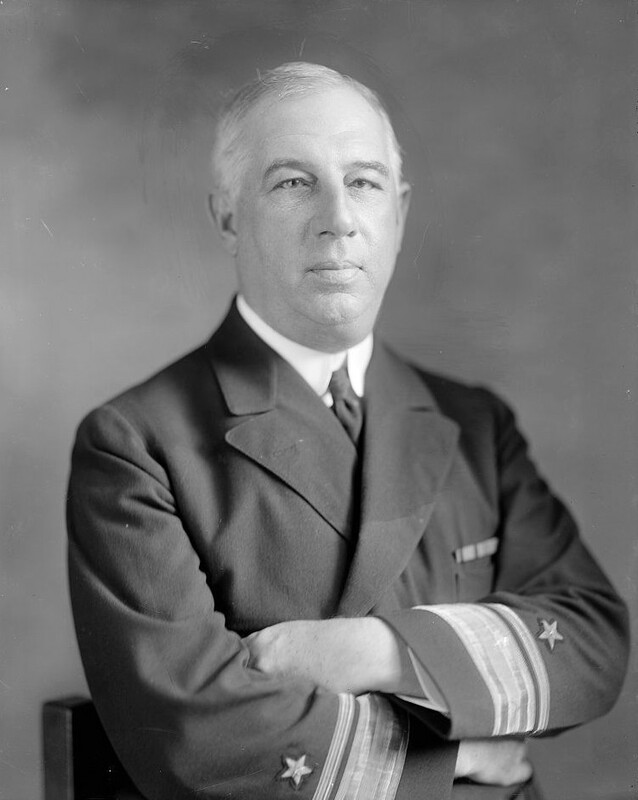 After World War I, Bullard served in 1919 as a member of the Inter-Allied Conference on Radio, and later served as Director of Communications, Navy Department. Rear Admiral Bullard retired in 1922 and died in Washington, D.C., 24 November 1927. Two ships have been named in Bullard's honor. In 1943, the Navy named the destroyer USS Bullard (DD-660) after him. In February 1946, construction was completed on the cable-laying vessel SS William H. G. Bullard (M. C. hull 2557), built for the U.S. Maritime Commission by Pusey and Jones Corp. of Wilmington, Del.. The vessel was acquired by the Navy in 1953 and redesignated USS Neptune (ARC-2). NOTE: His grandson, B. Saunders Bullard was killed in a 1931 accidental shooting and is also buried in Arlington National Cemetery. Posted: 9 December 2006 Updated: 8 December 2007 Updated: 3 March 2009 .